(December 13, 2018)- A follow-up investigation determines the identity and location of the third and last suspect from a robbery. On November 21, 2018, around 3:12 AM, Cape Coral Police responded to a call for service at 1829 Skyline Blvd (Circle K) in reference to a robbery with a firearm. One male pulled a handgun out of a back pack and then entered the store with another male. The Cape Coral Police Department Major Crimes Unit investigated the robbery and with the help of tips through Southwest Florida Crime Stoppers the two suspects were identified and arrested. The original release can be found here and the arrests of the first two suspects can be found here. Through the investigation by Major Crimes Unit Detective T. Kortright, he was able to determine that there was a third male involved as the get-a-way driver. 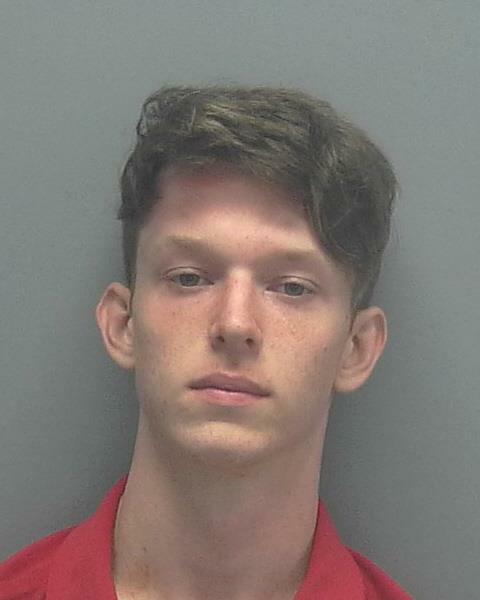 On December 12, 2018, Detective Kortright was able to locate and arrest Shane Matthew Calden (W/M, DOB: 10/13/2000, of 106 SW 37th Avenue) for his participation in the Robbery. Calden was charged with Robbery with a Firearm and Petit Theft. He was later transferred to the Lee County Jail.